Looking for a new home can be frustrating and expensive. Especially when most landlords will ask you for an application fee every time you submit a Rental Application. There are things you can do to prepare yourself before you go out to view available apartments that will make your search a bit more affordable and "oil" the application process to ensure a smooth transition from apartment hunter to new resident. As a Rental Applicant, how can YOU stand out from the rest? It's easy! Submit a totally completed and neat (easy to read) application. Give details... all prospective landlords want details about your previous rental history and current situation. All adults in household needs to submit their own rental application except in cases where the heads of household are a married couple. 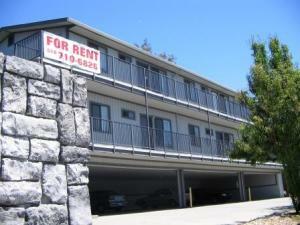 Submit your Rental Application Fee with your Rental Application. Once you have submitted your application and check or money order for your app. fee, DO call back in a couple of days to follow up. Be ready to put money down to HOLD the desired apartment once the Landlord accepts your application. Your Holding Deposit is credited towards your refundable Security Deposit. Always ASK FOR A RECEIPT from the Landlord or agent for the landlord when ever you submit money (with your rental application) for any reason. Unless directed otherwise, ALWAYS CALL the On-Site Manager before you go to view an available apartment. Just because the Manager lives on-site, doesn't mean s/he is always there and immediately available to show you current vacancies. Calling before you leave means that you will be sure to find that there is someone who can show you the vacant apartments AND you will be warmly welcomed when you arrive.